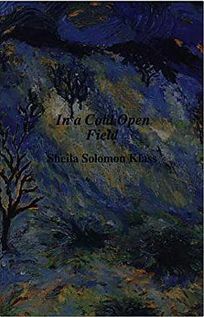 After a series of novels set in West Bengal (A Perpetual Sunrise), Klass returns to the New York City of her earliest work: this time, the Orthodox Jewish community of Williamsburg, Brooklyn, where immigrants Eva and Sol Greenfield have just discovered that their only child, Ben, a soldier in the Korean War, is missing in action. While the forbearing Sol finds some comfort in the rituals of his religion, Eva angrily refuses to accept her son's death and turns to Princess Zoe, a Coney Island fortune-teller, for help in ""conjuring"" him back to Brooklyn. Written in language as poetically pared-down as the title suggests, Klass's novel depends too often on static, not to say stereotypical, characters. Zoe, the thieving gypsy, is only the most obvious example of this tendency: Sol remains the wise pragmatist throughout, Eva the same stubborn apostate. Rather than portray the intricacies of their inner lives, Klass relies on well-placed but shopworn rhetorical questions (""Was it for this our boys gave their lives?"") to convey the parents' grief. She also fails to fully explore the complexities of Eva and Zoe's relationship: we never understand why Zoe, a blatant crook, is so compelling to Eva. What results is a vague and melancholy fairy tale rather than a novel with a vibrant and tangible life of its own. (July) FYI: In addition to four novels for adults, Klass has published 10 YA titles.